February, 2013 will be a big month in my life. If all goes to plan I’ll be spending one week of that month on a dream vacation in Costa Rica with my boyfriend. We’ve talked about this vacation for years but something always came up to delay the planning process. Car repairs, buying a house, friends getting married, and other life events big and small kept us from setting a plan in motion. We’ve never been able to take a spontaneous vacation. Finances and having to book time off from work far in advance has turned us into planning machines. I still find the lack of spontaneity annoying sometimes, but we make do with short weekend road trips to get our “last-minute” fix. No more delays. Last month we finally said our plan out loud to each other, our family, and friends and that made it official. It’s amazing how saying something out loud really does make it feel more real. I have way too much fun making spreadsheets and have already made several detailing how we’re going to save money, book flights, pick a hotel package, take tours, and indulge in some great food and spa time. It’s only one week, but we’re going to make the most of it! I realize we are very fortunate to be planning for any vacation at all. There is a real possibility that come 2013 something may come up giving us want to delay our plans again. However, I’m confident that won’t happen again. Before last month, Costa Rica was just a dream. Now, we have a savings fund just for the trip, a dog sitter lined up, spreadsheets filling the “My Documents” folder on my laptop, and 1 full year to make it happen. Planning for this vacation has made us more financially responsible and it’s put a smile on our face each time we discover something new we want to do on our trip. No matter the location, length, or cost of a vacation, I’m starting to learn the planning stage offers benefits long before you hop in the car or on a plane. We had set a goal of traveling to Costa Rica before, but we weren’t realistic in our planning. Now, we’re giving ourselves plenty of time to achieve every goal on our list. Each small success brings us one step closer to our dream vacation. Whether it’s camping, a night at a swanky motel in your own town, or a rainforest getaway, just start planning! You’ll have fun discovering how great it feels to set a plan in motion and maybe how delightful spreadsheets are too. Posted in just go away and tagged adventure, amazing, costa rica, family, financial, friends, life, planning, savings, travel, vacation. Bookmark the permalink. Enjoy Costa Rica and pay a visit to the stunning Rio Celeste!! – it’s a true gem! You might also enjoy Ziplining in Monteverde at the original canopy tour and a sunset hike to the Arenal Volcano..
Elena, thank-you for your suggestions! 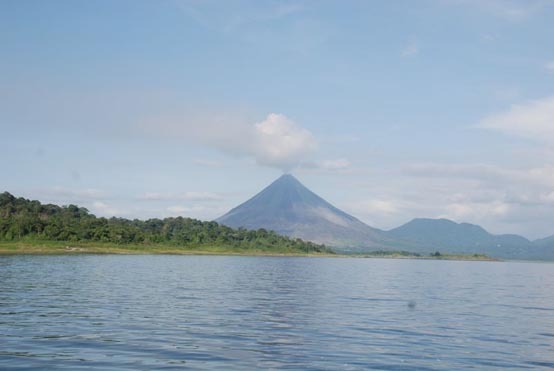 We’ll be zip lining near Arenal and we can’t wait! I’m learning not to plan, like Elena! LOL However, I call what you do CREATING. Have a wonderful time!!!! Yes, I feel like I’m creating! 🙂 And, oh what a wonderful feeling it is. Thank-you for your well wishes!